Jobs Description: BPSC Jobs December 2018 are listed below in our site. 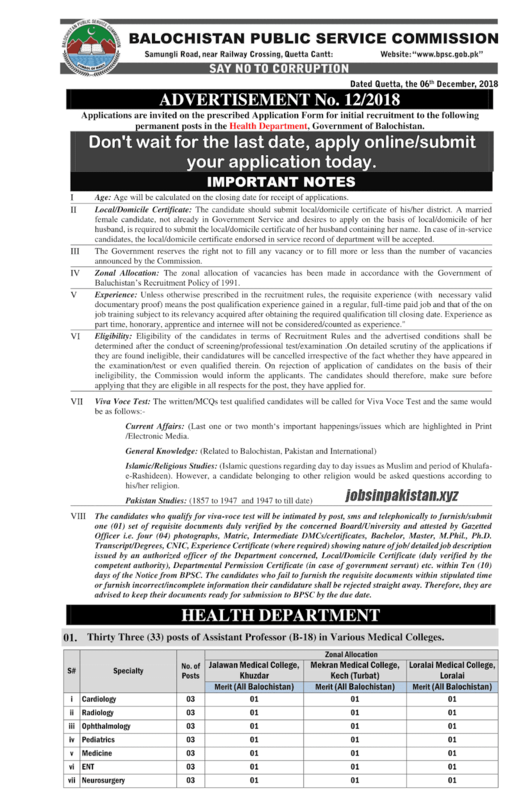 The BPSC Advertisement 12/2018 for BPSC Jobs December 2018 has come on the newspaper of 11 December 2018. 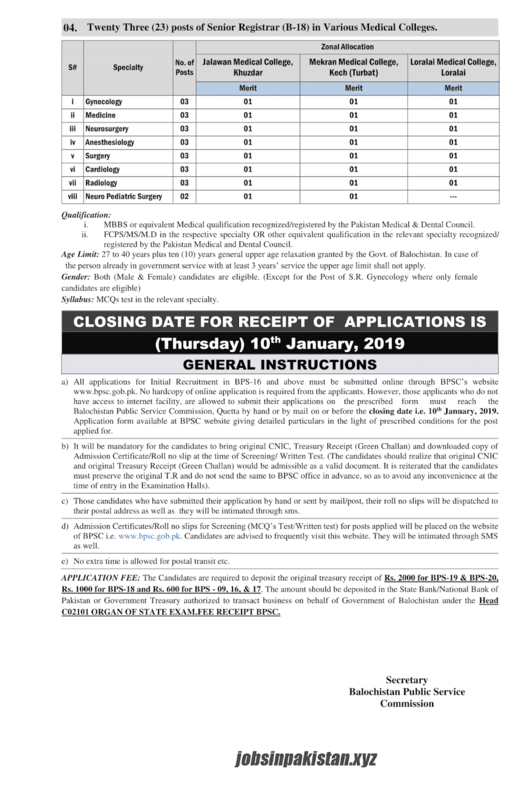 Balochistan Public Service Commission of Pakistan has recently announced an advertisement for Jobs in Health Department. Balochistan Public Service Commission of Pakistan has required the applications for following jobs. Note: Others Empty Jobs are given below in the advertisement. 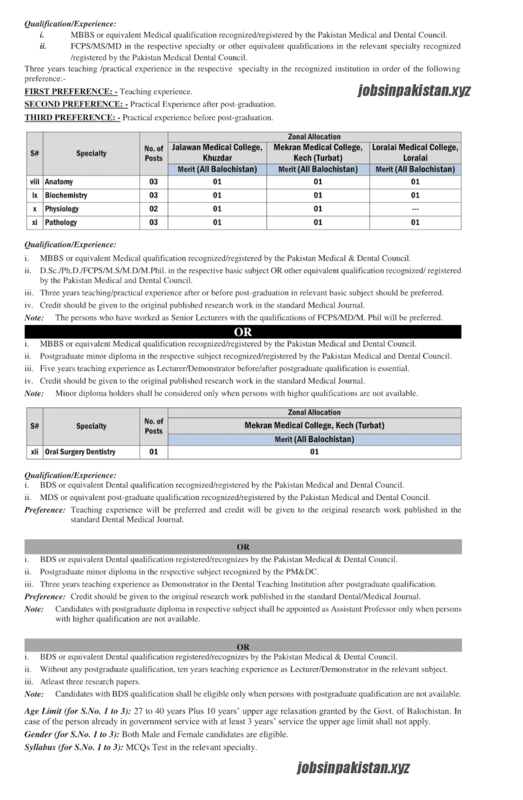 How To Apply: The interested candidates may apply online through the Balochistan Public Service Commission of Pakistan official website. Only shortlisted candidates will be called for test and interviews by the BPSC. No TA/DA will be given in the test and interviews.